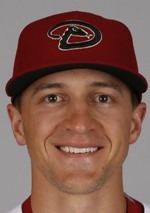 Nick just completed a very successful season as the starting shortstop for the Arizona Diamndbacks. Nick is a home-grown product having played at East Longmeadow High School and then at UConn. The MBCA is fortunate to have Nick share not only his experiences with our coaches but also his technical knowledge regarding infield play. He will be speaking about middle infield play.